Officers are elected annually to serve for a Calendar Year. Representatives from these communities jointly discuss, deliberate and determine the direction of DUWA's current and future operations. 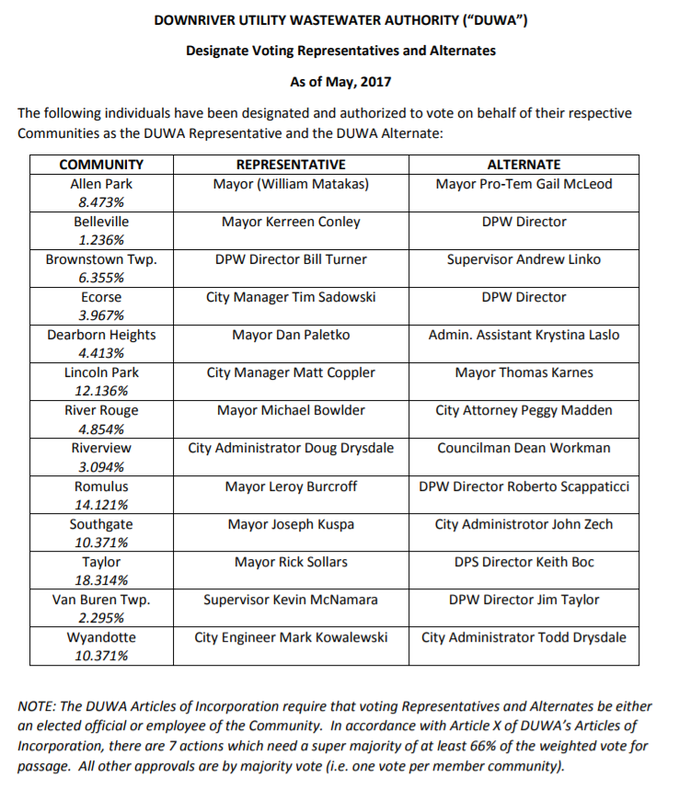 The DUWA Articles of Incorporation require that voting Representatives and Alternates be either an elected official or employee of the Community. It is suggested that the DUWA Board establish a schedule for regular monthly meetings throughout 2019, with the meetings to be normally held on the 2nd Thursday of the month at 9:00 a.m. in the Taylor City Hall (City Council Chambers).